Outside of our classroom, visitors are immediately introduced to the stars that they will find inside Studio 13! I used scene setters as the back drop for the posters to create a dramatic hallway display. Here is a simpler version of a hallway display. Students wear a boa or a top hat, and I print the photos in black and white. Students sign their photo and write their "cast bio." On the first day of school, each student took a picture in a suit coat & tie or with a boa and sunglasses. 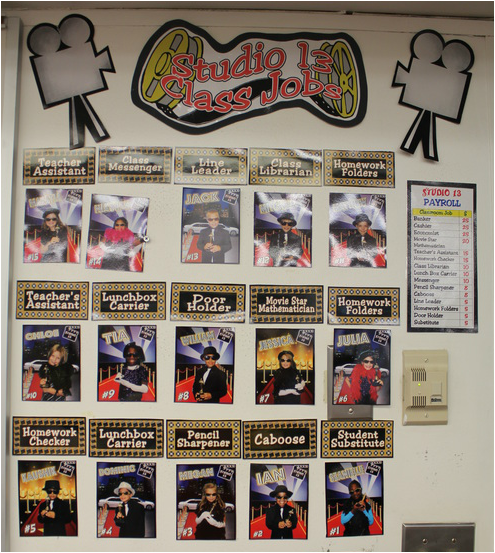 I then used Print Shop to crop the students' bodies and insert them onto a Hollywood stock image. Students also completed a "Cast Bio" in which they described themselves and their personalities. 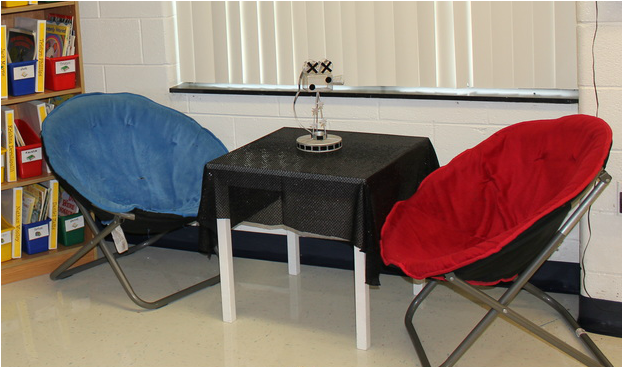 If you do not have Print Shop, you can just take students' photos in front of a backdrop. I purchased my Hollywood scene setters at Party City. 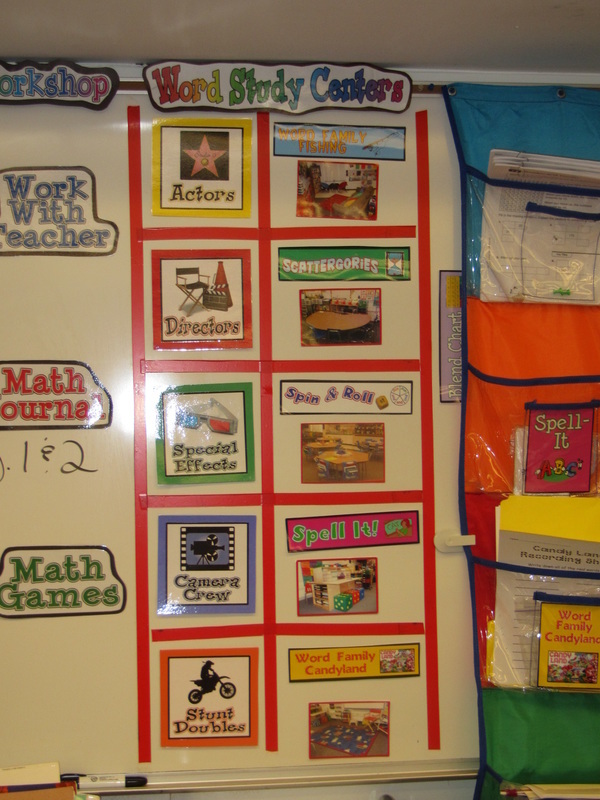 Roll out the red carpet for the first day of school as students enter your classroom! Grab your director megaphone and call "Action!" on a new school year! Get students excited with a special first day treat at their seats! 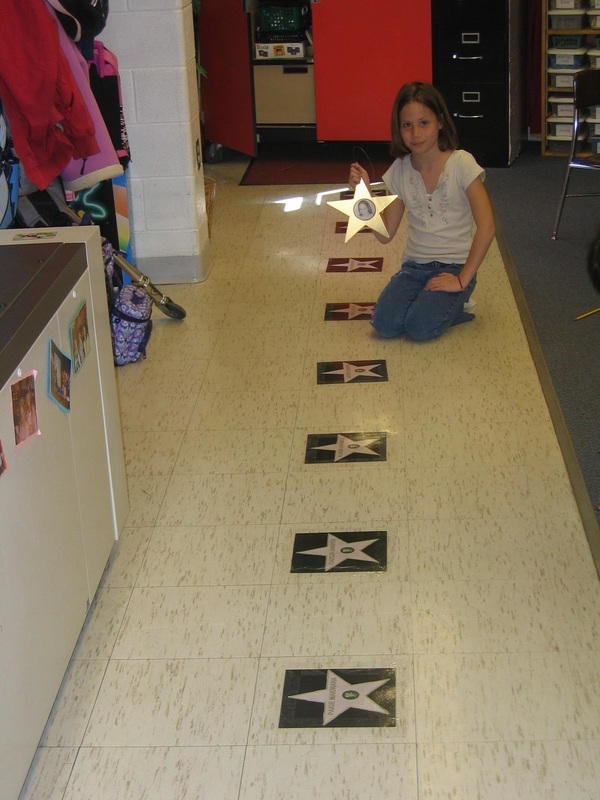 Make personalized stars for each student to create a "Walk of Fame" in your classroom. This bulletin board outside my classroom is changed often to display new photos of classroom happenings. Students wrote their goals for the school year on mini clapboards for this hallway display. We are a bucket-filling school! 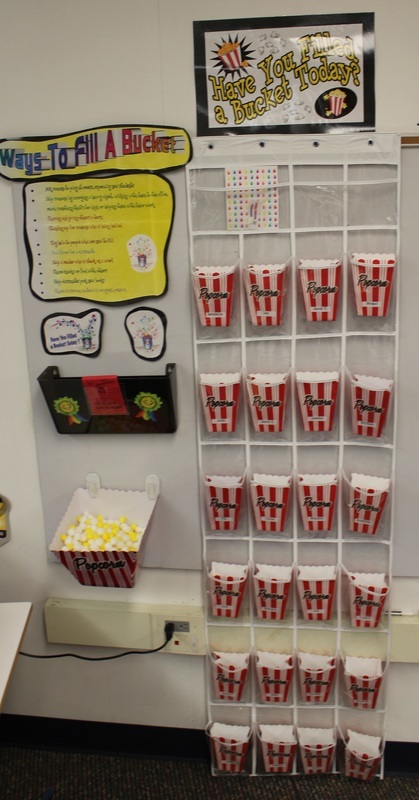 When I notice a student filling someone else's bucket, I add popcorn (puff balls) to their popcorn container. The names of my word study center rotation groups are Hollywood-themed!